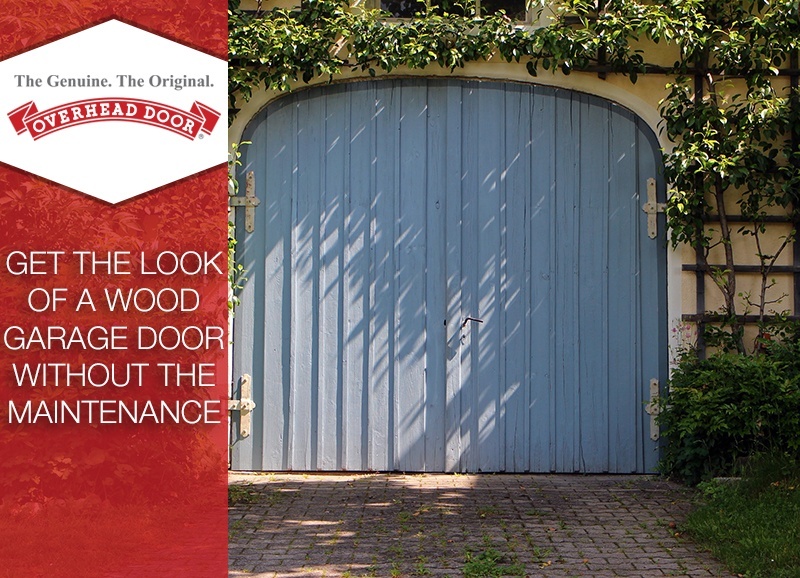 Get the Look of a Wood Garage Door Without the Maintenance! A real wood garage door offers a traditional, sophisticated look while giving off a warm, homey feel. It also makes a much greater impression than a standard, white steel garage door. However, the extra good looks come with a cost: heavy maintenance. A wood door requires regular upkeep to maintain its appearance. Otherwise, the weather will beat the beauty right out of the wood. No one wants a warped and cracked garage door with a faded finish. This is a problem for you, the busy homeowner. You want your home to look its best, but you may not have the time to maintain a wood garage door. Thankfully, we are leaders in the garage door industry, and we offer fantastic options with the look of real wood (without the demanding upkeep). Our Impression Collection® of fiberglass garage doors is rightly named. This line of garage doors best emulates the look of real wood, down to the wood grain. It's true perfection. Behind the beauty is durable steel. These doors are thus long-lived and low-maintenance. A wide range of customizable styles ensures a door to best suit the unique look of your home. Courtyard Collection® garage doors are designed to look like old-fashioned, wood carriage house doors. It's a classic style which exudes timeless beauty to upgrade your home's look. Ensure your garage door matches your home with our nine different color options. If you prefer the painted wood look, this line of garage doors is for you. Real wood cannot compare to the energy-efficiency and durability of the insulated steel used to construct Courtyard Collection® doors. Our steel Thermacore® doors offer the absolute best in thermal efficiency. Polyurethane insulation is put between two layers of steel. Between sections are seals which impede air flow. This is where beauty and utility meet. Choose from numerous window design options. After all, the details make it yours. Wood grain finishes include Golden Oak, Mission Oak, and Walnut. Choose a light, medium, or dark shade, whichever suits your fancy most! What one word summarizes the doors of the Carriage House Collection? Elegance. This line of garage doors offers versatile door designs and color options. We offer stained and painted finishes. An embossed wood texture brings to mind the carriage house doors of old. Behind the elegant allure of these doors is high-grade insulation. If you want a garage door which combines traditional charm and climate control, then take a look at the Carriage House Collection. With Overhead Door of San Angelo™, you get the looks you want with the durability you need. Our doors combine the best in aesthetics and security. Consider us if you want a quality garage door based on almost ninety years of innovation and excellence.